* The plug and back side is disconnected. This review is about item#58768263. This review is about item#58768281. I replaced it as the power switch breaks. It looks better than originally. This review is about item#58768272. The code is also soft, quality is OK, even if the price is a bit cheaper it is still better. I guess it was still so because it is \ 300 at the 100 yen shop. This time I wanted the material at once, I purchased it, but I think that one is expensive as an item that keeps cutting. The AC plug on hand is gone, I happened to find it and ordered "I can save time and effort". Considering the amount of money I wonder if it was a bit expensive. I think that the price is expensive a little, but good. I often use a built-in parallel 2-pin plug-in plug, but because it cracks quickly, this time I chose this product. 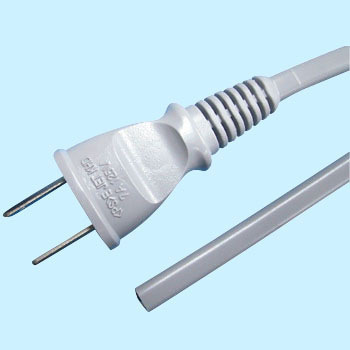 I would like variations such as cabtire type, length, thickness (sq), plug type, current capacity etc. to be increased. (Since it is necessary to acquire the electricity & weather law, cost effectiveness is unknown, but ...) The price was also cheap, it was good to purchase.